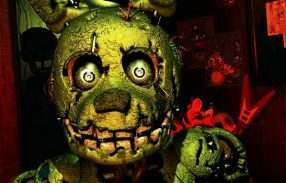 As you know, Five Nights at Freddy’s is a famous scary adventure game created by Scott Cawthon. 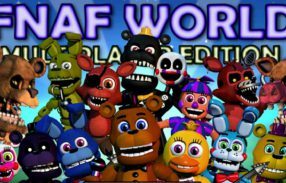 Now, you can totally play FNAF online for free to experience all creepy challenges. With this flash version, you will be able to find out how brave you can be. 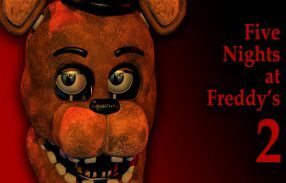 The game puts you in the shoes of a night watchman working at a popular unreal restaurant called Freddy’s Fazbear’s Pizza during 6 hours, from 12 AM to 6 AM. 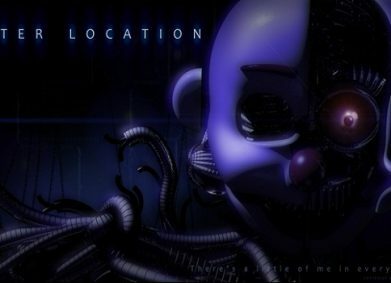 Your main task is to watch over this place to make sure that nothing will go wrong. 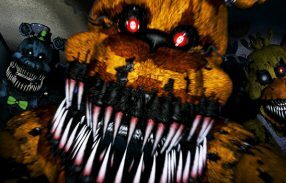 However, you don’t know that there are four animatronics trying to enter your office to jumpscare you, including Freddy, Bonnie, Chica and Foxy. They are awesome entertainers of this restaurant in the daytime, but they are extremely aggressive at night. You must use your strategies to stop them from killing you. 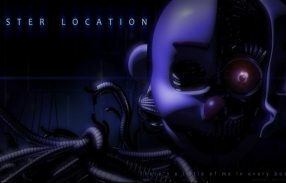 Use the cameras to track them, utilize the power properly, close the doors to block their entrance and attempt to survive until 6 AM. Good luck! Interact with objects like cameras, doors, lights and control everything by using the mouse.